Get ready for VMworld 2015 Europe – the world’s #1 cloud and virtualization technology conference! From 12 to 15 October VMworld Europe will be returning to Barcelona’s Fira Gran Via. VMworld 2015 Europe is almost upon us! For the eighth consecutive year, VMworld is visited by almost all VMuru bloggers. This will be a special year since there were some job changes earlier this year were Erik and Alex joined the VMware ranks, Anne Jan joined Login Consultants and Edwin joined Nexenta. Personally I am very curious how VMworld will be from a vendor perspective combined with VMGuru blogger blood running through the veins. Looking forward to a great week with lots of good conversations and discussing on a variate of topics. Will this year’s VMworld Europe breach the 10.000 attendees boundary? With over 350 technical and content-rich sessions will cover everything from data center storage innovations to workforce mobility, hybrid cloud services and more. There will also be more than 240 sponsors and exhibitors enabling you to get a closer look at the latest competitive solutions. 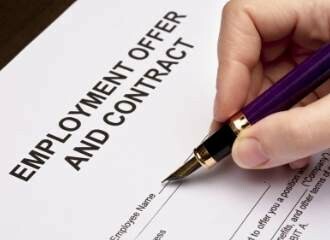 This will give you the information you need to make the right choice for your business. When you are visiting VMworld for the first time please read this blog Alex wrote about the Do’s and Don’ts at VMworld very useful information in there. So lets get ready to dive into a fast changing world with new announcements, products and solutions. In the field of mobility, security, storage, (hybrid) cloud and much much more. 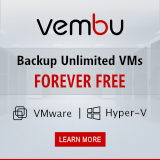 For some preparation and to dive deeper in several fields look at the new anouncements made at VMworld 2015 San Francisco, like VSAN 6.1, NSX, vRealize, lots and lots of integration with vCenter server by the eco-partner-system to make it easier for you to excel and manage your business. VMworld 2015: Virtual SAN 6.1 introduction – vSAN grows up! VMGuru members are inbound to VMworld 2015 Europe, to blog about a mobile world in hybrid clouds and bring you the latest news and insights. Watch out for Erik (@vmguru), Sander (slmartijn), Anne Jan (@elsinga), Martijn (@smitmartijn) or Edwin (@viperian) during VMworld 2015 Europe. Lets make this VMworld a good one! Unfortunately Alex cannot visit VMworld this year due to work, so he will be virtual with us, we will miss you in Barcelona bro! 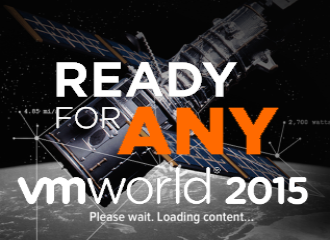 Please wait, loading VMworld 2015 Europe… stay tuned to test.vmguru.com for the latest updates! Edwin Weijdema is a Solutions Architect at Veeam for the Benelux & Nordics region and has over 20 years of experience designing, implementing, and managing data center technologies for large companies. His areas of expertise include virtualization, networking, and storage solutions. He knows what it takes to add business value to partners and customers. He is a veteran vExpert, Cisco Champion 2015 and holds several other certifications.